Osteomyelitis is a bone disease. The disease causes inflammation of the bone and the bone marrow, which is source of cause, is from infections. Osteomyelitis can also emerge from Laminectomy. Laminectomy is a surgical procedure, which injections are inserted into the spinal cord. 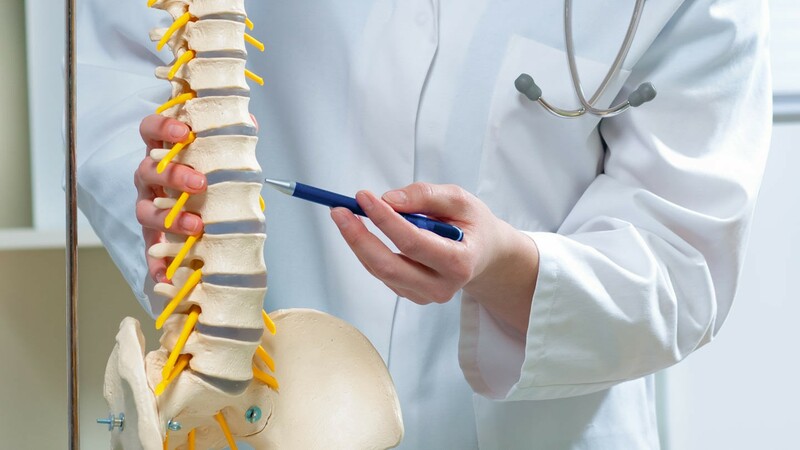 The surgical procedures are designed to remove one or more sides of the back posterior arch found in the spinal column, and to gain admission to the spinal cord and/or the nerve roots. Surgical complexities sometimes arise after Laminectomy occurs. The patient may experience sensory and motor deficits, infection, paralytic ileus, urine retention, muscle spasms, and so on. The infection may lead to Osteomyelitis. Spinal fusion is another type of surgical procedure, which can cause infection and lead to Osteomyelitis. Osteomyelitis is a bacterial infection that targets the soft tissues and the bones. The infection often arises from surgical procedures, open trauma, staphylococcus aureus, infection, and hemolytic streptococcus. Infections setup when organisms reach the bones through open wounds or blood streams. The infection can cause destruction of the bones, as well as bone fragmentation, such as necroses. or Sequestra. Necrosis is the process of dying tissues that kill cells in the organs and result from disease. If newer bone cells begin to form, spreading over “the sequestrum” and it occurs during the healing phase, it can result in non-union. IT depends, but malaise can cause infections that create Osteomyelitis. Malaise is the process where the muscles are compressed or depressed. Osteomyelitis may arise from extreme body temperature, bone pain, increases of pain when moving, localized edema, redness, tachycardia, muscle spasms, and so on. Tachycardia is rapid or excessive heart beating, which the rates exceed “100 beats per minute.” As I mentioned in previous articles, edema can cause back pain as well, which is seen when Tachycardia starts as well. Doctors will often search for positive organisms, which he/she can identify in blood and wound cultures. Doctors will also look for increases in ESR and/or WBC in tests, such as Hematology. Bone scans are used as well. When doctors review Osteomyelitis, they must weed out Osteoporosis, Osteoarthritis, Gouty arthritis, Osteogenic Sarcoma, and so on. If Osteomyelitis is present, however the doctor will order management and intervention treatment, such as diet, bed rest, fluid increase, etc. Medical management often includes heat treatment, high-calorie, vitamin C/D, protein, and high-calcium diet is recommended. The patient is monitored and tested frequently thereafter and is ordered to submit to laboratory tests. Nutritional support is also advised, as well as special wound and skin care. Doctors will also recommend antibiotics, such as Cipro or Ciprofloxacin. Tylox, or oxycodone, which is an Analgesic, is also recommended. Splints are needed in some instances. The nurse however will use intervention actions to eliminate potential risks, such as bone necrosis, sepsis, and fractures. Fractures are common since the bones are deteriorating. Sometimes surgery is necessary to treat Osteomyelitis. Surgical interventions are setup however to avoid operations. The interventions include bone grafting, bone segment transferring, incisions, and drainage of abscess bones, and/or sequestrectomy. Doctors will often recommend home care. Home care instructions often include staying away from others will infections, as well as avoid exercises that overload the weight bearing joints. Patients are recommended to monitor their infection, as well as noting signals that fractures are present. Skin care is also recommended to eliminate damage. Doctors will also request the patient to shift positions when resting. In summary, doctors order many routines and treatments when Osteomyelitis is present. Now that you have an overall, we encourage you to learn more about osteoporosis.